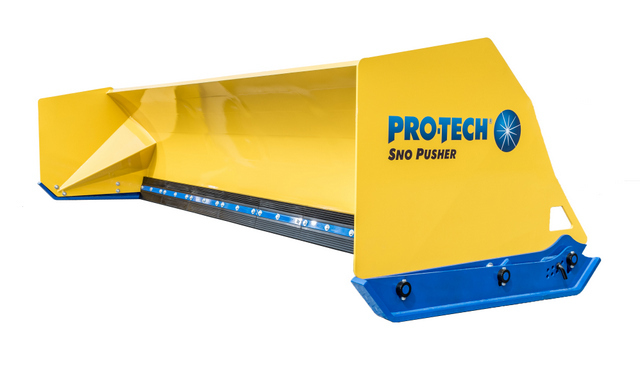 Pro-Tech Manufacturing and Distribution Inc. recently unveiled the Fusion Edge Sno Pusher, a new containment snow plow that features a combination steel and rubber cutting edge. This new Sno Pusher is designed to give customers a containment plow that provides incredible surface outcome, ease of use, and unparalleled durability. The Fusion Edge Sno Pusher’s main highlights focus around three main components: the Fusion Edge, Pro Float Coupler, and Fast Attack Shoes. For more info on Pro-Tech, plow through this link. Get it?